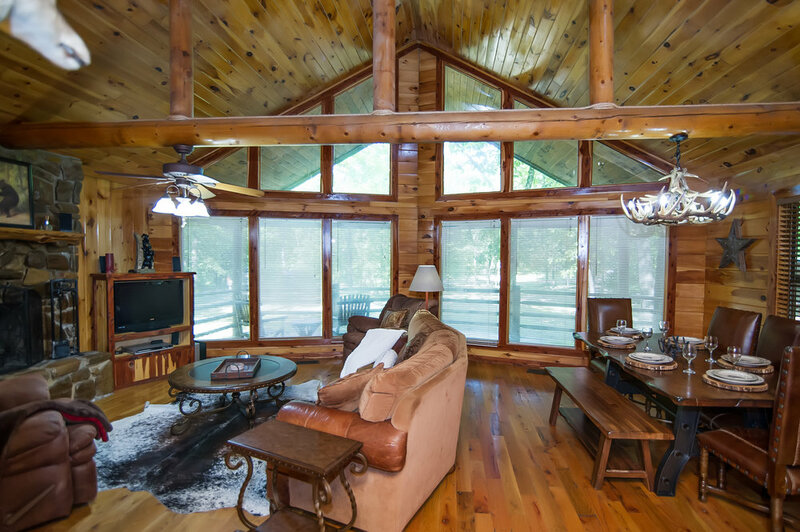 Front Porch Lodge: 3 bed / 3 bath. Sleeps 10. 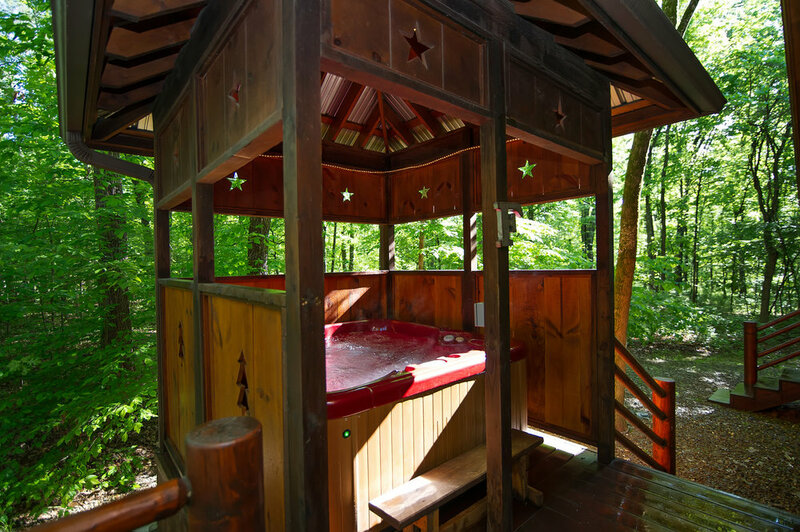 Round up the gang and head out to Front Porch Lodge for a summer vacation you will love to remember! This beautiful cabin sits along a quiet lane and is hidden from other cabins by the surrounding forest. 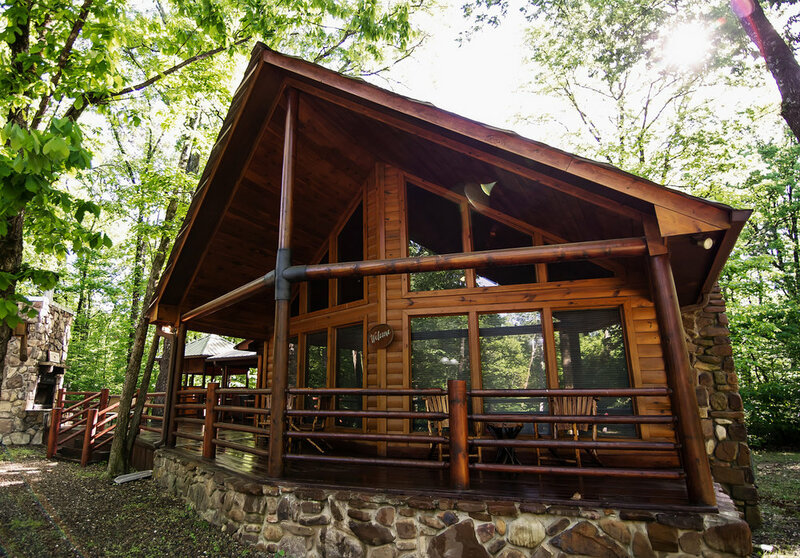 A true family cabin – Front Porch Lodge has spaces ready to be filled. 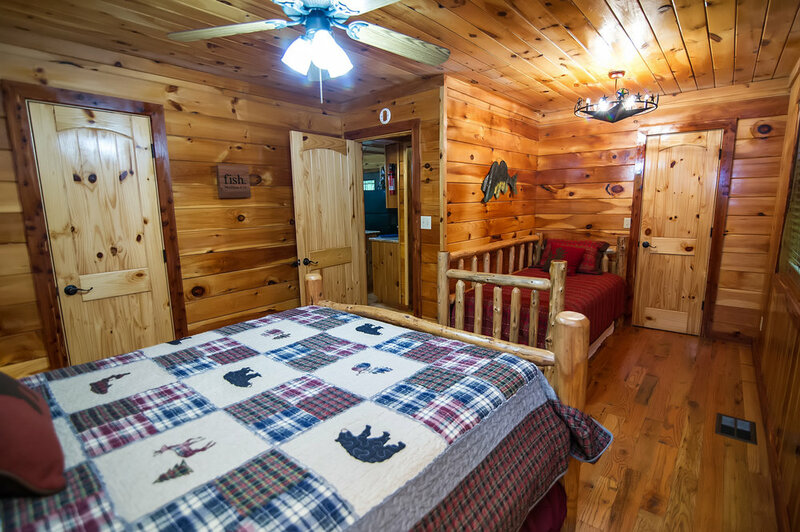 This 3 bedroom cabin will sleep 10 guests in comfort. The upstairs master suite has a king size bed and a private balcony. The upstairs landing has a sitting area with a daybed w/ trundle. Downstairs there is a queen bed and a daybed w/ trundle in the guest room. 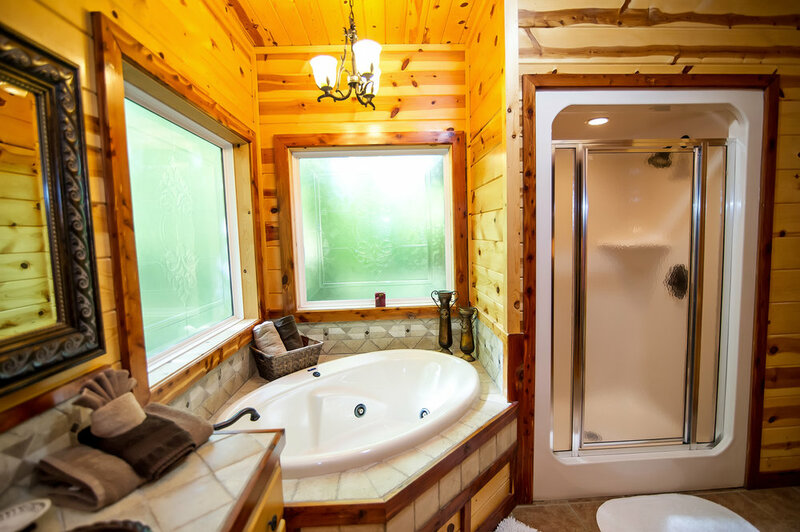 And the luxurious master has a 4 poster king bed, a jetted tub and large shower in the bathroom, and separate entrances to both the front porch and a private back deck. Find time to lounge around the large great room with soaring vaulted ceilings and floor to ceiling windows. 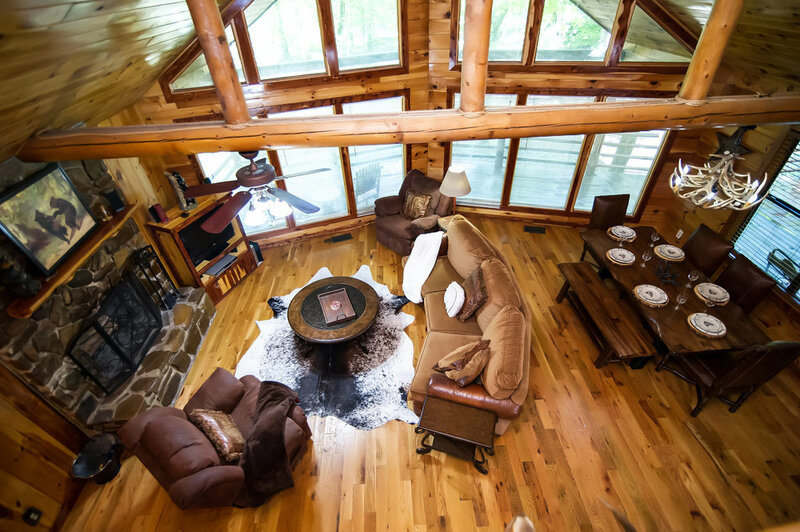 Watch movies in front of the stone fireplace until it is time to eat. 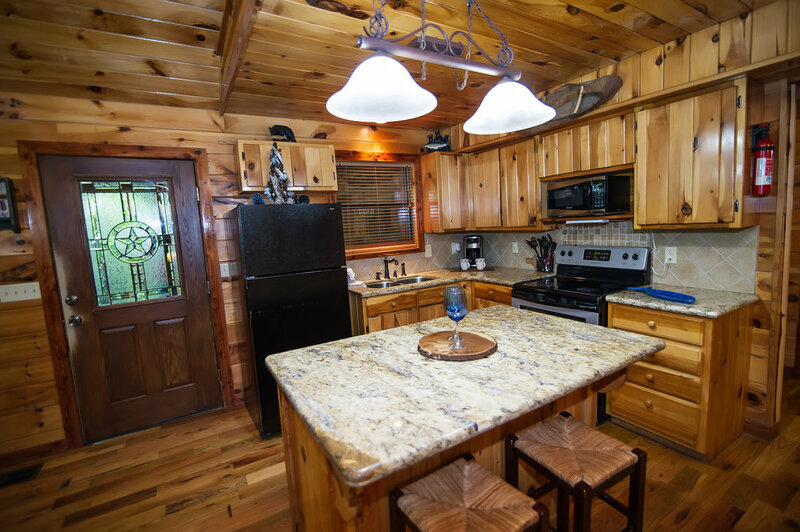 A farmhouse dining table invites everyone to have a seat and sit a while, sharing meals prepared in the ready to cook kitchen. After the dishes are cleared, move the fun outside. The huge front porch offers several options to relax – try them all. 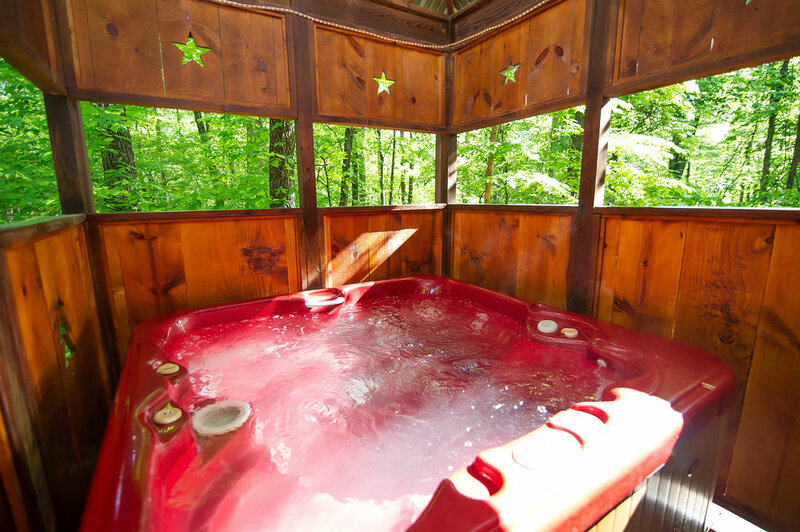 Start a fire in the outside fire place and prop your feet up on the stone hearth, or sink into the warmth of the covered hot tub. Grab a glass of wine and pick a seat and let the stories begin. 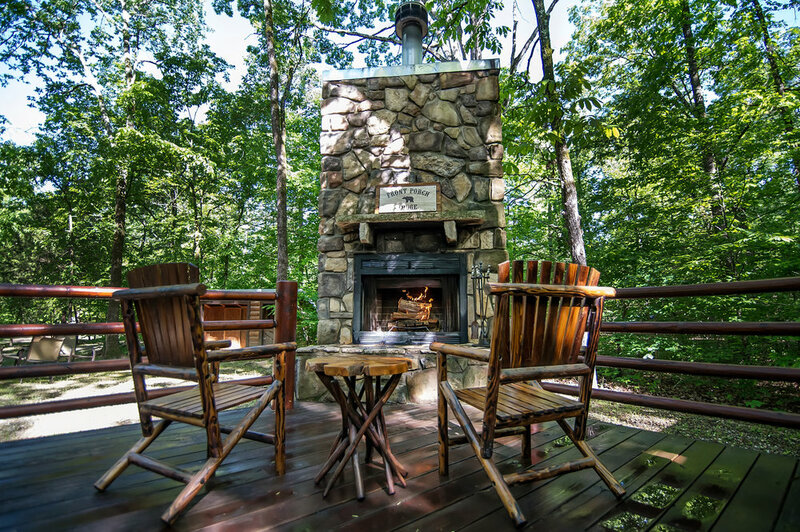 The large lot also offers plenty of room for kids to run and play and a more standard fire pit for roasting hot dogs and marshmallows. 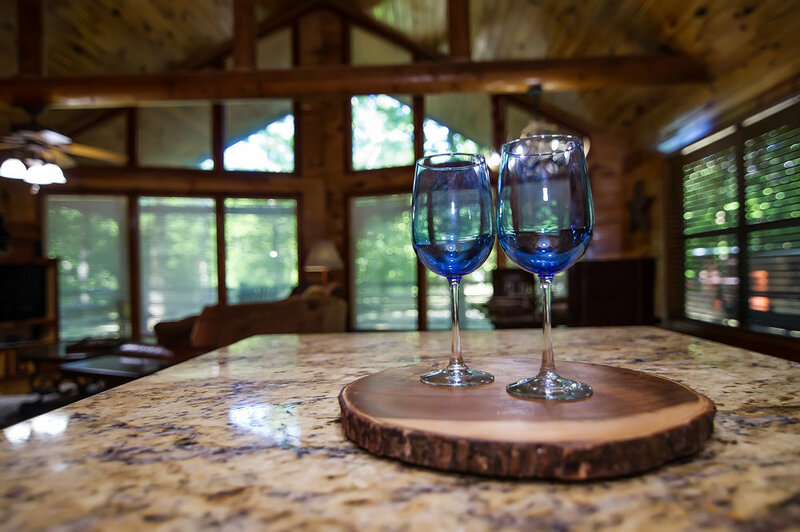 With all you have going on at the cabin – don’t forget that Front Porch Lodge is just minutes away from all kinds of excitement around the lake and park, not to mention dining and shopping in Hochatown and nearby Broken Bow. * Special rates and minimums may apply during holidays: Spring Break, Memorial Day, July 4th, Labor Day, Thanksgiving, Christmas, New Year's. 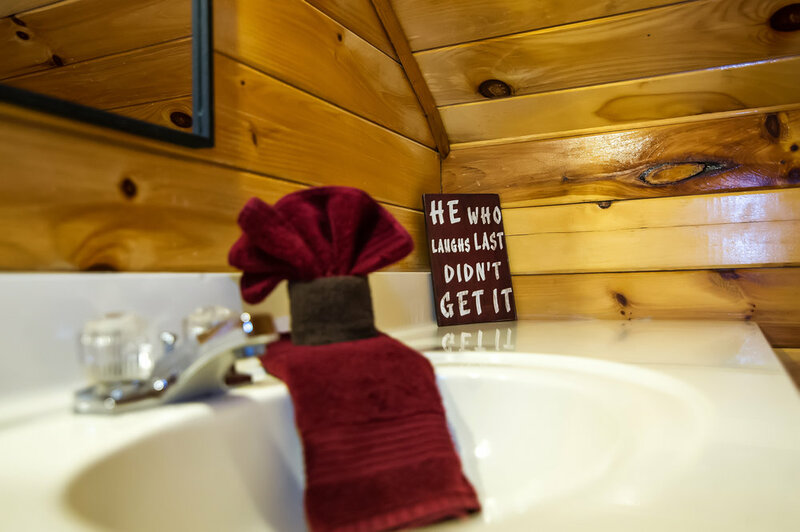 © 2016 Kiamichi Cabins. Site by Brandsmith.